Mariah Stein, left, and Sammi Plotsker prepare for their alternative graduation ceremony at Binghamton University. 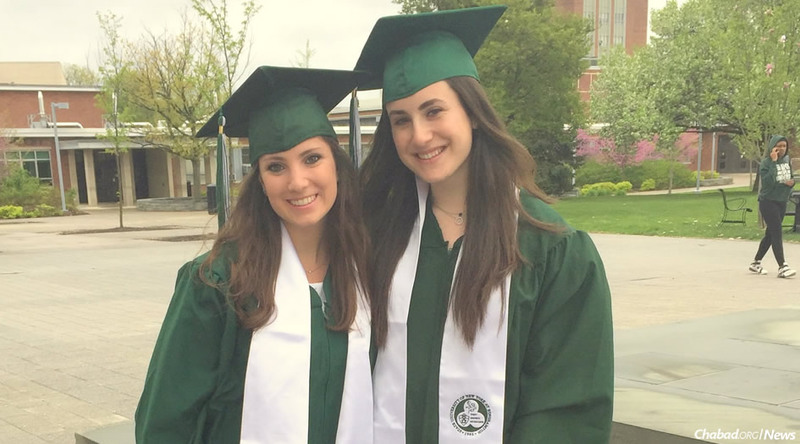 When Rebecca Roffe walks proudly across the commencement stage to receive her diploma from Binghamton University in Upstate New York, she will be filled with gratitude—not only for having reached this milestone, but also for being able to celebrate it on a day that is suitable for her and her family. 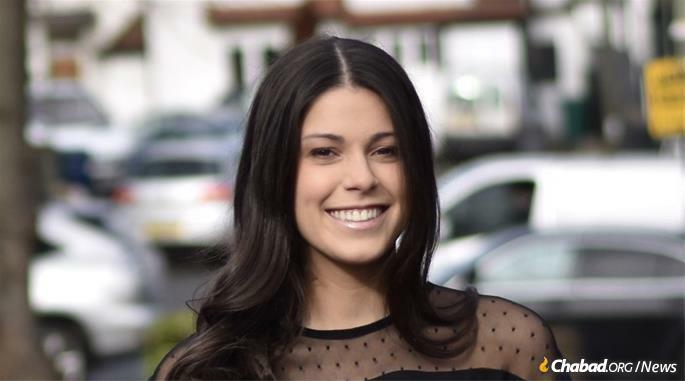 Roffe will be one of 48 students participating in Binghamton University’s first-ever alternative graduation ceremony for Jewish students on Friday morning, May 18. Roffe, of Skokie, Ill., earned a bachelor’s degree in chemistry and is headed for Hofstra Law School. Ordinarily, she would have graduated with her fellow science students on Sunday, May 20. This year, Shavuot occurs on Sunday and Monday, making it complicated for observant Jewish students and their families to participate. To avoid traveling on Shabbat and the holiday, which is prohibited by Jewish law, families would have needed to come up on Friday and remain in Binghamton until Tuesday. Last summer, Rabbi Aaron Slonim, executive director and senior rabbi at the Rohr Chabad Center for Jewish Student Life at Binghamton, learned that all eight of the university’s 2018 graduation ceremonies were scheduled for the weekend of Shavuot. Cheryl and Irv Stein of Buffalo, N.Y., will arrive in Binghamton on Thursday night, May 17, and join their daughter Mariah at a dinner sponsored by Chabad. On Friday, after Mariah receives her B.A. in Human Development, the family will return to Buffalo in time to observe Shabbat and Shavuot. Koby Kopel of Sherman Oaks, Calif., tries on his regalia in advance of the alternative graduation ceremony at California State University Northridge (CSUN). Kopel will be earning a B.A. in biology and plans to apply to dental school. At Hofstra University in Hempstead, N.Y., where Rabbi Shmuly Lieberman is co-director of the Chabad Jewish Student Center, students and their parents asked the administration to reschedule both the undergraduate and law school graduation ceremonies, which coincided with Shavuot. Both Hillel and Chabad echoed the students’ concerns. Rather than reschedule the ceremonies, the university agreed to offer an alternative graduation ceremony on Tuesday, May 22. Approximately 30 students will participate. “Some of the participants even include students who wouldn’t necessarily observe Shavuot but wish to show solidarity with their fellow Jewish students,” reported Lieberman. Rockland Community College, part of the State University of New York, in Suffern, N.Y., also responded to concerns raised about commencement falling on Shavuot. The college typically holds one ceremony, scheduled this year for Sunday, May 20, the first day of Shavuot. Rabbi Dov and Shevy Oliver, co-directors of Hillel of Rockland, which is affiliated with Chabad on Campus, approached the administration. “We are gratified that RCC’s senior administration was receptive to our proposal to accommodate observant Jewish students by offering an alternative graduation ceremony,” said Shevy Oliver. The alternative graduation ceremony will be held on Thursday evening, May 24; about eight students and their guests are expected to attend. The ceremony at RCC, similar to alternative graduations at other colleges, will mirror the college’s standard commencement ceremony. Graduates will wear caps and gowns, and receive their diplomas from the provost, and the college president will address the graduates and guests. On the West Coast, California State University Northridge (CSUN) will hold its first alternative graduation this year on Tuesday, May 22. 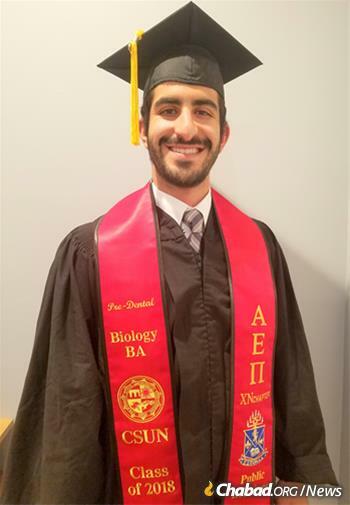 Rabbi Chaim Shaul Brook, co-director of Chabad at CSUN, explained that it is a commuter school, where students live off campus and need to drive to graduation, precluding observant students and guests from attending the ceremony on Shavuot. “The university has been amazing in wanting to accommodate observant Jewish students,” said Brook. “Months ago, Dr. Jody Meyers, coordinator of Judaic Studies, explained the dilemma to the administration and they understood right away.” About 40 students are signed up for CSUN’s alternative graduation, including students earning doctoral, master’s and bachelor’s degrees. The ceremony is jointly sponsored by the university, the Judaic-studies program, Chabad and Hillel, and will include a post-ceremony reception. While it’s nice to have a crowd at events, each person constitutes an entire world, according to the famous Talmudic dictum: “He who saves one life has saved a whole world” (Sanhedrin 4:5). Indeed, the University of Rochester held an alternative graduation on Wednesday, May 16, for just one student, Jacob Niebloom, who earned a B.S. in computer studies and a B.A. in business. Months ago, when he realized that Sunday’s commencement coincided with Shavuot, Niebloom himself approached the university administration to ask for an alternate ceremony. “They were very supportive, and even though I had hoped other students would participate, the university was very willing to do it just for me,” he said. During his sophomore year, Niebloom, of Livingston, N.J., on a quest to fill in missing gaps in his Jewish education, became close to Rabbi Asher Yaras, co-director of the Rohr Chabad House at University of Rochester. Jacob Niebloom, the sole participant in University of Rochester’s alternative graduation ceremony, with his fiancee, Talia Rosenstrauch. “I’m very proud of Jacob for standing up for what is right, even if it is not necessarily the most convenient. Students often have a dream of what their graduation will look like, but Jacob knows what’s important,” said Yaras, who attended the alternative graduation along with Rabbi Nechemia Vogel, co-director of the Kessler Family Chabad Center, and Rabbi Ari Kilimnick of nearby Congregation Beth Sholom, as well as Niebloom’s parents and grandmother. 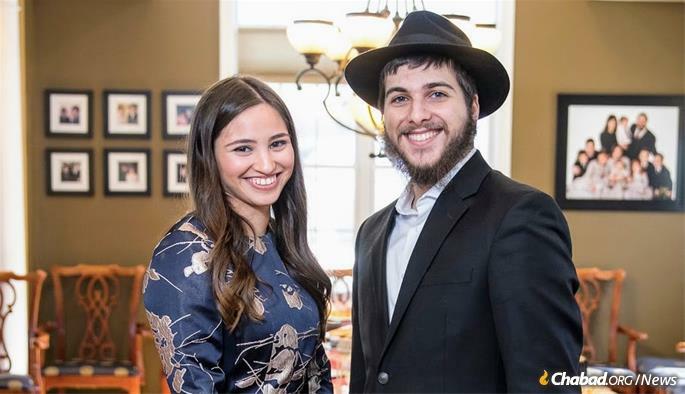 The family is looking forward to the next big milestone in Niebloom’s life; he is getting married on 12 Tammuz, June 25, to Talia Rosenstrauch, also of Livingston. And one person can make a world of difference. Rabbi Michoel Danow, co-director of Chabad Lubavitch at Leeds in England, reports that one of the Jewish students who attends Chabad convinced the Leeds College of Art to change the date of an exhibit of work by graduating students from Shabbat to a weekday. Amanda Nussbaum expressed appreciation to Chabad of Binghamton and to the university for arranging the alternative graduation ceremony. 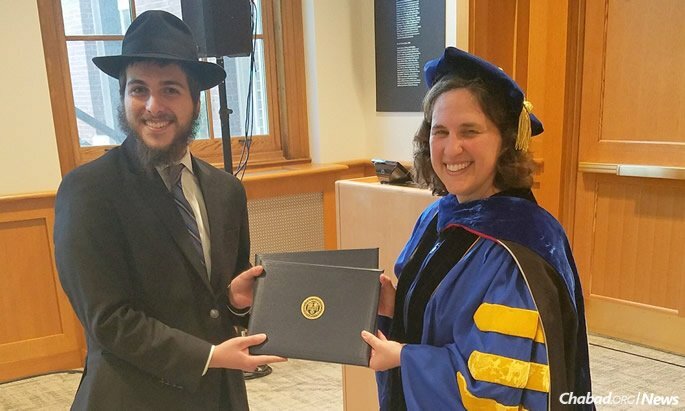 Jacob Niebloom receives his two bachelor's degrees from Dean Wendi Heinzelman, Dean of the Hajim School of Engineering and Applied Sciences at University of Rochester at an alternative graduation ceremony arranged just for him.